Substantial questions loom over the fate of former World’s Fair sites and other large mid-twentieth sites, e.g. former Olympics sites and urban renewal districts, public housing developments, suburban office parks and downtown towers and plazas, among other products of modernist planning and design. Modernism brought a sea change in urban design, city planning, and architecture. It had broad implications for the future of whole districts and swathes of the city. Some modern sites have been heralded as successes; many have been criticized as failures. Modern design and planning left substantial footprints in the built environment. 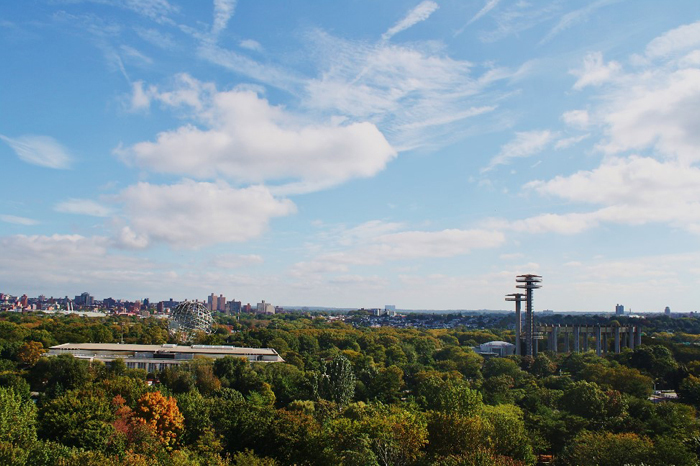 A view of the Queens Museum and the New York State Pavilion in Flushing Meadows Corona Park. Photo / Jennifer Minner. How can sites of the mid-twentieth century be preserved and adapted to the needs of the 21st century? What can we learn from adaptation and stewardship of these sites that might be applied to the contemporary practice of planning and design? CRP 3851/5851: Special Topics in Urban Design: Sustainable Adaptation of Large Modern Footprints, taught by Dr. Jennifer Minner, focused on the application of spatial analysis, direct observation, and case study research to questions of how to sustainably adapt and maintain urban sites from the mid-twentieth century and recent past. 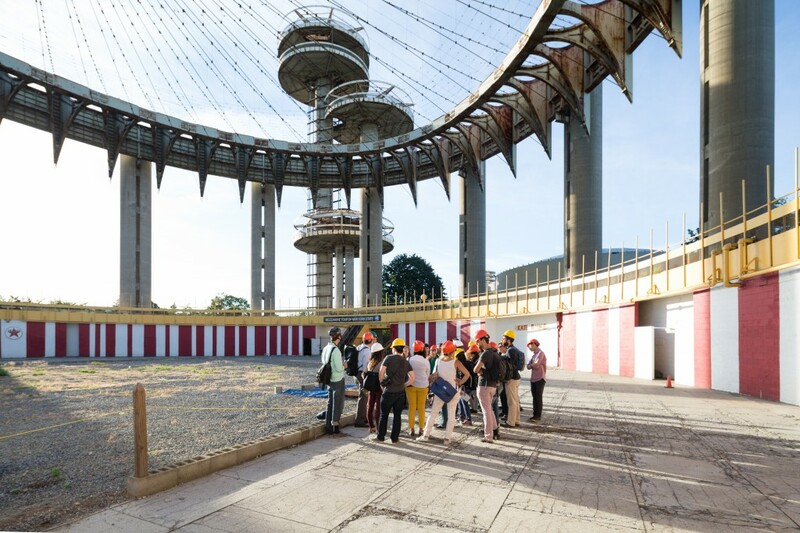 Students in the class analyzed several World’s Fair sites – the site of the 1939 and 1964 World’s Fairs in Flushing Meadows Corona Park in Queens, New York and HemisFair ’68 in San Antonio, Texas, comparing them to peer sites in Seattle and Montreal and to other modernist sites. This website represents the culmination of student and faculty research to brainstorm design interventions, methods and technology that could help revitalize modern parks, while honoring their modern heritage. An exhibit called Modern Footprints: Sustainable Adaptation and Collective Memory also highlighted aspects of this research. The poster Spirits of Visions Past, as presented at the April 2015 American Planning Association. A draft can be downloaded here. Student workshop participants: Brian Byrd (M.R.P. ’15); Michael Catsos (M.R.P. ’15); Hector Chang (B.S. UR.S ’14); Rashmi Gajare (M.R.P. ’15)Gabriel Halili (M.R.P. ’15); Irene Hung (M.R.P. ’15); Daniel McKenna-Foster (M.R.P. ’15); Christine Ma (M.R.P. ’15); Robert Rivera (M.R.P. ’15); Isaac Robb (M.R.P. ’15); Rachel Shindman (M.R.P. ’15); Taru (M.R.P. ’15).